I was watching a PBS episode of Mind of a Chef called Restaurateur on Netflix about New York chef, April Bloomfield's quest to open a San Francisco restaurant. She settled on an existing property from a bygone era named Tosca Cafe that needed to be revamped. As I watched her tour the old property I realized it was a place Chris and I often dropped by for a night cap after dinner in North Beach in our California days many years ago. There was no working kitchen that I remember, only a long bar that greeted you as you entered. A large mural of Venice graced the back wall of the dimly-lit establishment. Large faux-leather banquettes hugged the walls, opera music filled the air and fittingly the signature drink was the house cappuccino. Interestingly, unlike the iconic San Francisco Irish Coffee drink, Tosca's signature cappuccino had no coffee or espresso in it, but it sure tasted good. 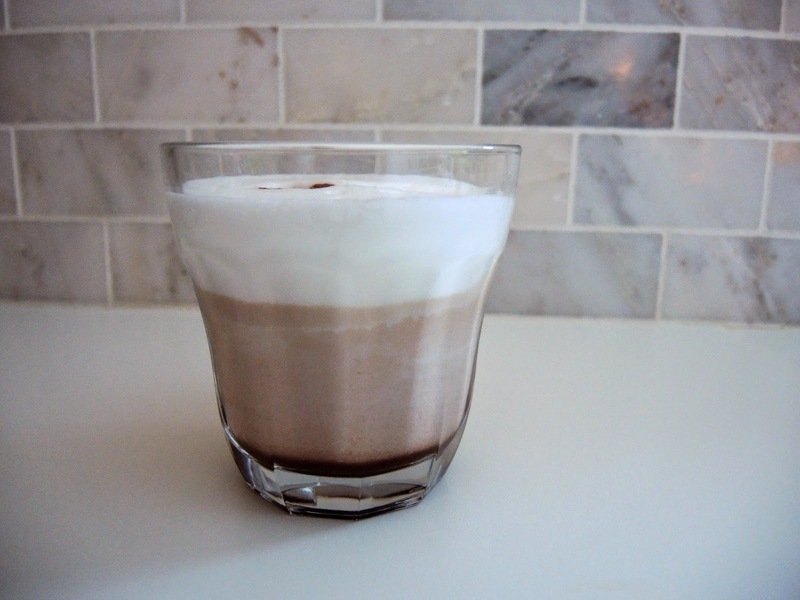 The mixture was steamed milk, chocolate, and booze. Not a bad combination on a chilly San Francisco night. I have thought a lot about that delicious adult 'hot chocolate' lately as our Midwestern winter has lingered in sub-zero territory for far too long. 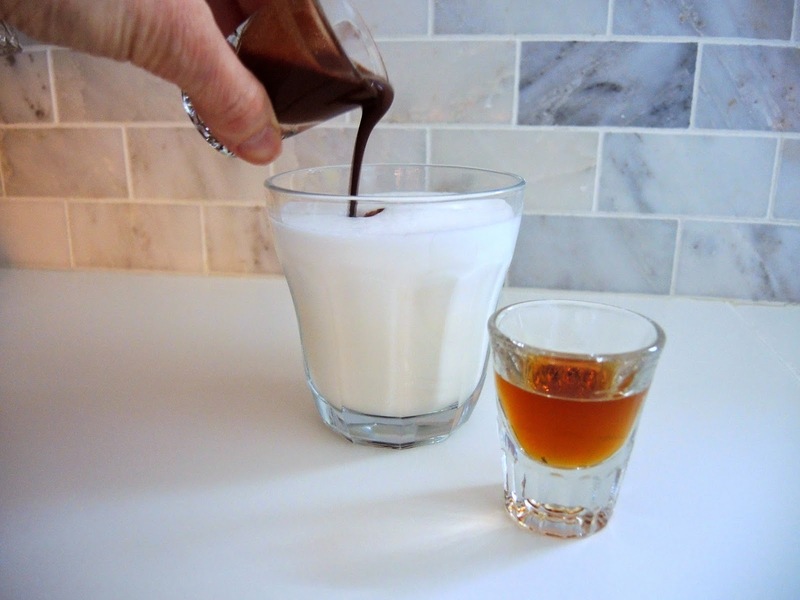 It doesn't take much to bring this drink together, especially if the chocolate sauce is made in advance. In a saucepan bring milk to a gentle simmer then remove from the heat. 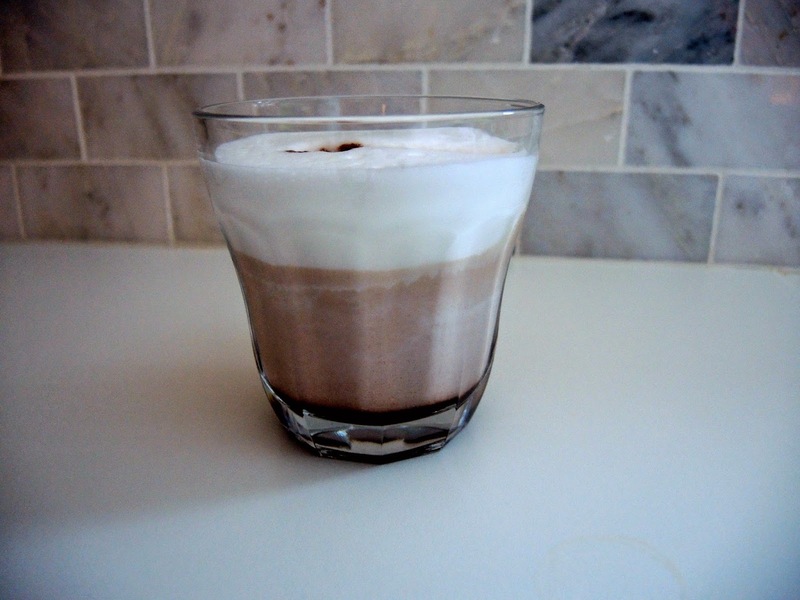 If you have a milk frother carefully aerate the milk to make foam for the top. Don't worry if you don't have one the steamed milk will be slightly frothy from simmering. The recipe uses brandy, but dark rum or whiskey can but substituted. A shot glass is roughly a tablespoon of liquid, give or take. Feel free to adjust the chocolate or alcohol to your taste. 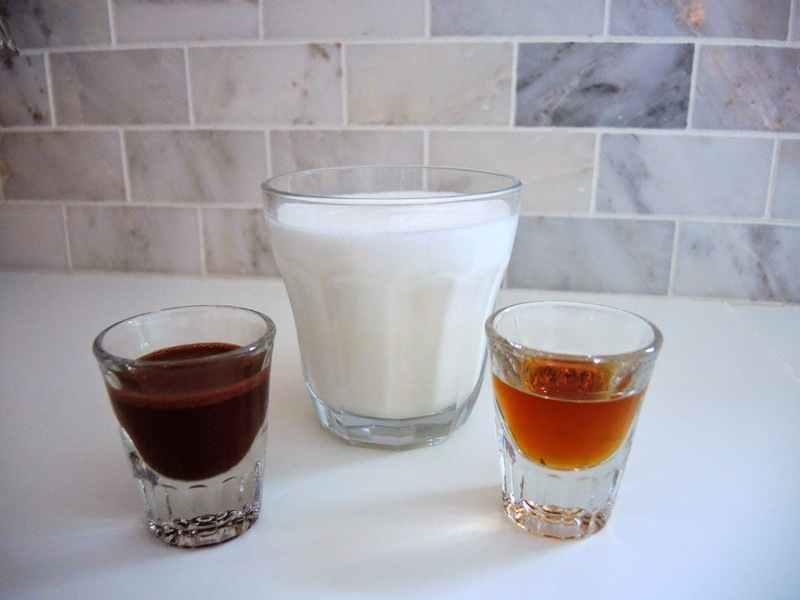 For a kid-friendly version omit the alcohol or try this hot chocolate recipe (with or without the homemade marshmallows). Whether you make the cappuccino or this hot chocolate we all need a little something to help us get through the long, cold winter. Heat milk in a saucepan to a gentle simmer. Remove from the heat, use an milk frother to make foam if you have an aerator, omit if not, then pour milk into a heat-resistant glass. Add warm chocolate sauce and brandy. Stir slightly. Finish with additional foam if desired. Makes one serving. Double, triple, or quadruple the recipe as necessary. 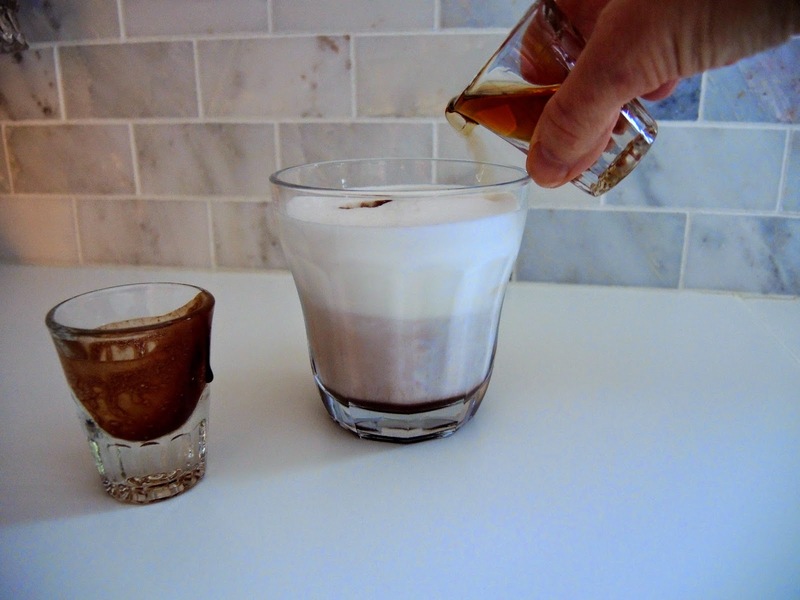 The chocolate sauce recipe makes about a cup which will make several servings of the cappuccino recipe. Left-over sauce is equally good served warm over ice cream or drizzled on cake. Store left-over sauce in the refrigerator for up to two weeks. 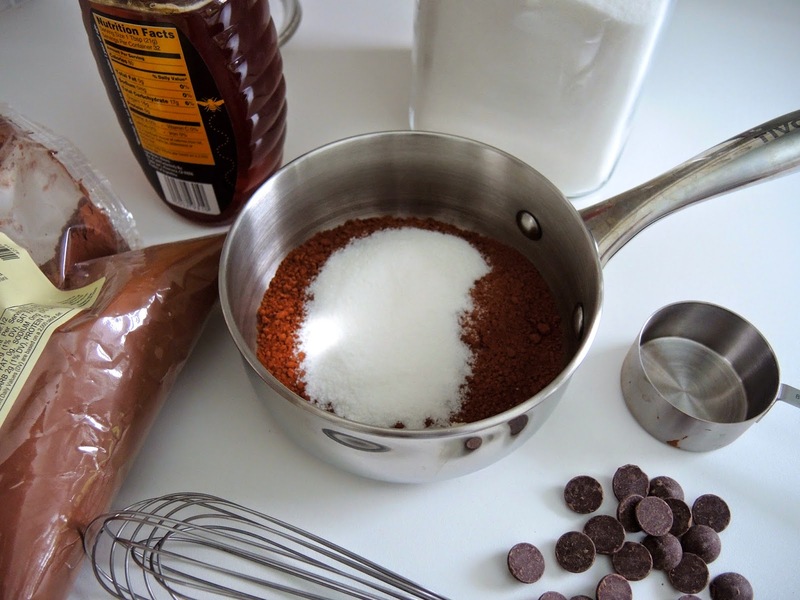 In a small saucepan whisk together the cocoa powder and sugar. Stir in the honey and water. Bring the mixture to a boil, stirring to combine. Remove from the heat and add the chocolate. Stir until melted and completely smooth. Store left-over sauce in a glass jar in the refrigerator.